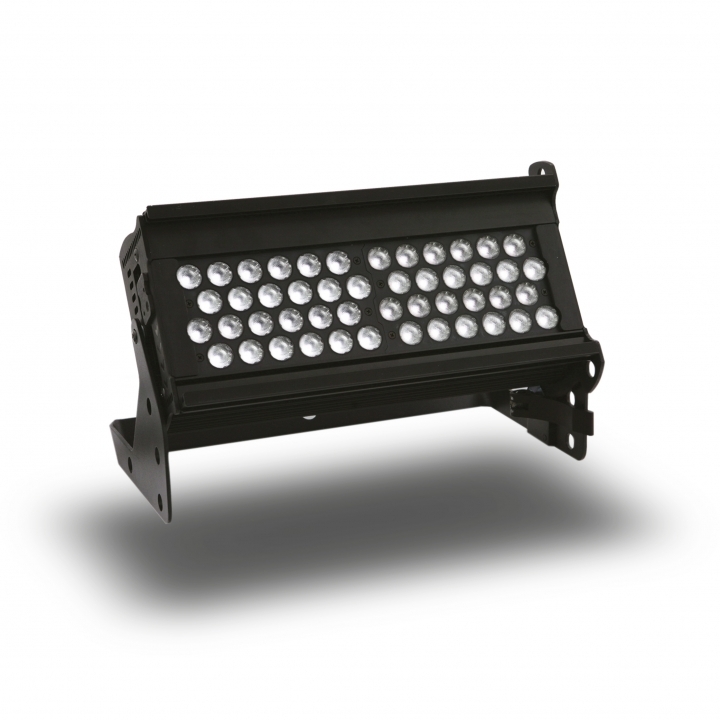 Utilising the same core technologies as the innovative Chroma-Q® Studio Force D 12™ daylight white LED fixture, the Studio Force D XT 12 is an ultra bright, higher-output version that provides a blistering 15,000 lumens output. Specifically designed for TV, film, touring, exhibitions, corporate events and theatre lighting applications, the Studio Force D XT 12™ is perfect for evenly washing large areas, complemented by its smooth, theatrical grade dimming. At only 335mm / 1ft* long, the unit is ideal for floor, wall, stand or truss mounting. The Studio Force D XT 12™ is suitable for a wide range of lighting applications, including key-lighting, uplighting, backlighting and wash applications. The Studio Force D XT 12™ includes ColorSure™ technology for enhanced consistency across each light engine and when using multiple fixtures. Featuring a camera friendly custom optical design, the Studio Force D XT 12™ provides a smooth, uniform output, matched by theatrical grade dimmimg. On the outside, the Studio Force D XT 12™ has been designed to provide maximum versatility and ease of use. The built-in power supply, hidden quick release fixings requiring no tools, and PowerCon and 5-pin DMX connections in and out provide fast deployment and simple cable management.